Casting for Cameron Mackintosh’s acclaimed production of Alain Boublil and Claude-Michel Schönberg’s Tony Award-winning musical phenomenon, LES MISÉRABLES, has been announced for its much anticipated St. Louis engagement at the Fabulous Fox Theatre direct from a celebrated two-and-a-half year Broadway engagement. To purchase tickets, visit MetroTix.com, call MetroTix at 314-534-1111 or visit the Fabulous Fox Box Office. Ticket prices start at $25. For a sneak peek, please visit www.LesMiz.com. 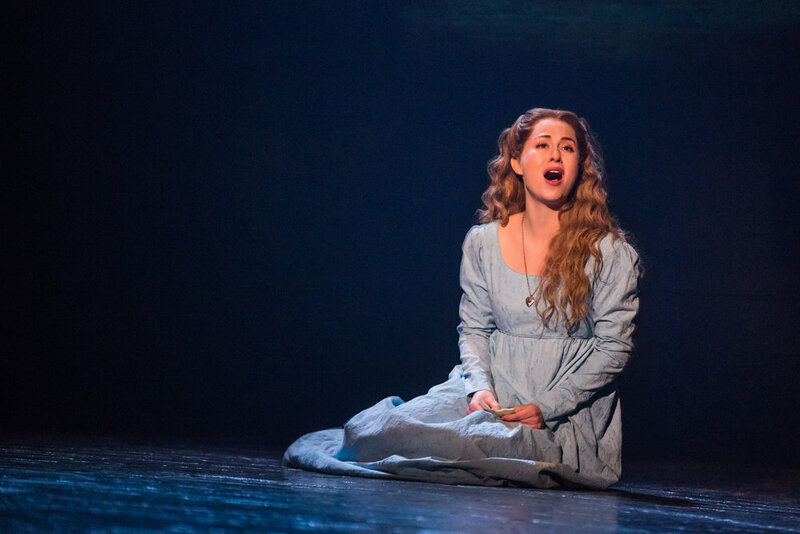 Mary Kate Moore as Fantine. Performances of LES MISÉRABLES at the Fabulous Fox run December 11-16. Show times are Tuesday through Saturday evenings at 7:30 p.m., Saturday at 2 p.m. and Sunday 1 p.m. There will also be a 1:00 p.m. matinee performance on Thursday, December 13. The ensemble includes John Ambrosino, Felipe Barbosa Bombonato, Gabriel Sidney Brown, Steve Czarnecki, Kelsey Denae, Olivia Del Cicchi, Nicholas Edwards, Cate Elefante, Caitlin Finnie, Michelle Beth Herman, Matt Hill, Monté J. Howell, Stavros Koumbaros, Andrew Maughan, Maggie Elizabeth May, Ashley Dawn Mortensen, Bree Murphy, Tim Quartier, Talia Simone Robinson, Patrick Rooney, Liz Shivener, Brett Stoelker, Danielle J. Summons, Kyle Timson and Christopher Viljoen. Set against the backdrop of 19th-century France, LES MISÉRABLES tells an enthralling story of broken dreams and unrequited love, passion, sacrifice and redemption – a timeless testament to the survival of the human spirit. Featuring one of the greatest scores of all time, with thrilling and beloved songs including “I Dreamed A Dream,” “On My Own,” “Stars," “Bring Him Home,” “One Day More,” “Do You Hear the People Sing” and many more, this epic and uplifting story has become one of the most celebrated musicals in theatrical history. Along with the Oscar-winning movie version, it has now been seen by more than 130 million people in 44 countries and in 22 languages around the globe. LES MISÉRABLES is still the world’s most popular musical, breaking box office records everywhere in its 33rd year. Cameron Mackintosh’s production of Boublil and Schönberg’s LES MISÉRABLES has music by Claude-Michel Schönberg, lyrics by Herbert Kretzmer from the original French text by Alain Boublil and Jean-Marc Natel, additional material by James Fenton and original adaptation by Trevor Nunn and John Caird. The original LES MISÉRABLES orchestrations are by John Cameron with new orchestrations by Christopher Jahnke, Stephen Metcalfe and Stephen Brooker. The production is directed by Laurence Connor and James Powell, designed by Matt Kinley inspired by the paintings of Victor Hugo with costumes by Andreane Neofitou and Christine Rowland, lighting by Paule Constable, sound by Mick Potter, musical staging by Michael Ashcroft and Geoffrey Garratt and projections by Fifty-Nine Productions. Music Supervision is by Stephen Brooker and James Moore, with casting by Kaitlin Shaw for Tara Rubin Casting. The new production was conceived in 2009 to celebrate the 25th Anniversary, with record-breaking productions in the U.K., Australia, Korea, Japan, Spain, France, Manila, Singapore, São Paulo and Dubai. The North American Tour traveled across the U.S. for two years then played a five-month engagement in Toronto before returning to the Imperial Theatre on Broadway in March 2014 for over 1,000 performances. The new production is currently playing to sold out houses across North America and in Mexico City with a new U.K. Tour beginning November 2018.